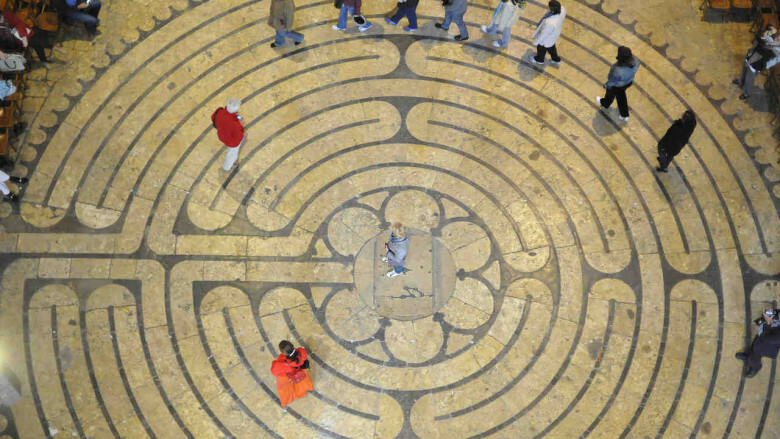 Labyrinth practice quiets the body and mind so that you can listen more easily and relate more deeply with yourself and God. 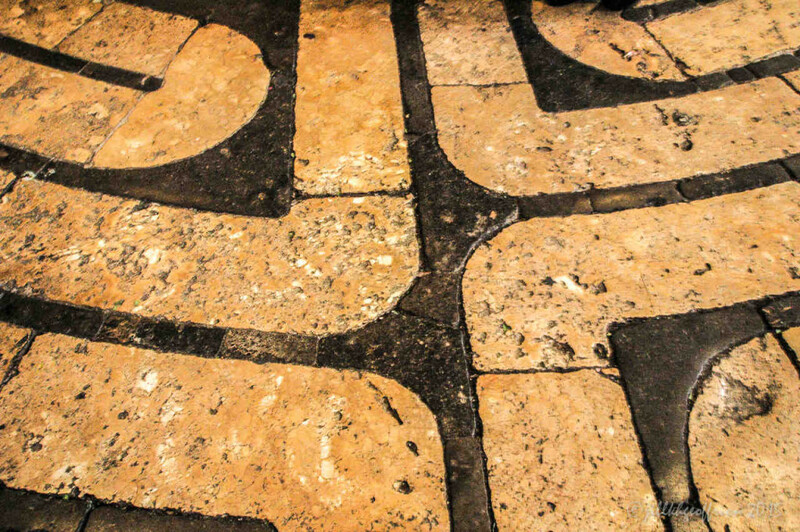 Walking the labyrinth in the Chartres Cathedral usually takes 20 to 35 minutes. 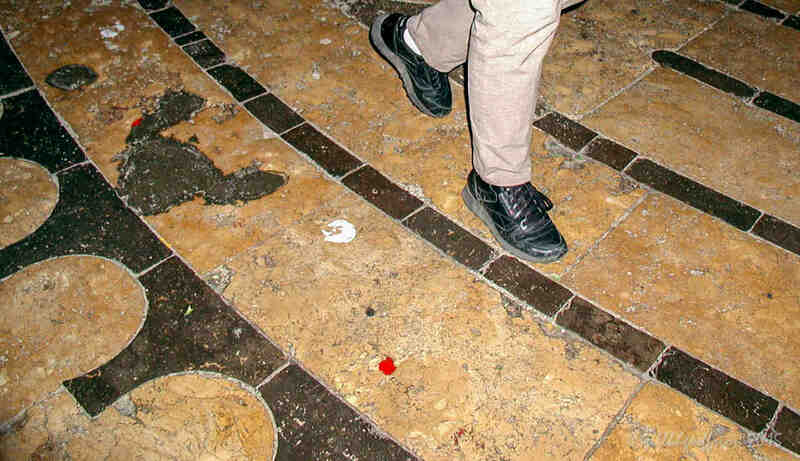 Stand before the entrance and pray, dedicating the walk. Move into the pattern. The path you are on leads to the center. Trust. Go at any pace (fast or slow) that seems comfortable. Notice what is happening around you and make it part of your walk. If you get turned around, you will either end up in the center or at the entrance/exit. Wherever you find yourself, continue from there. 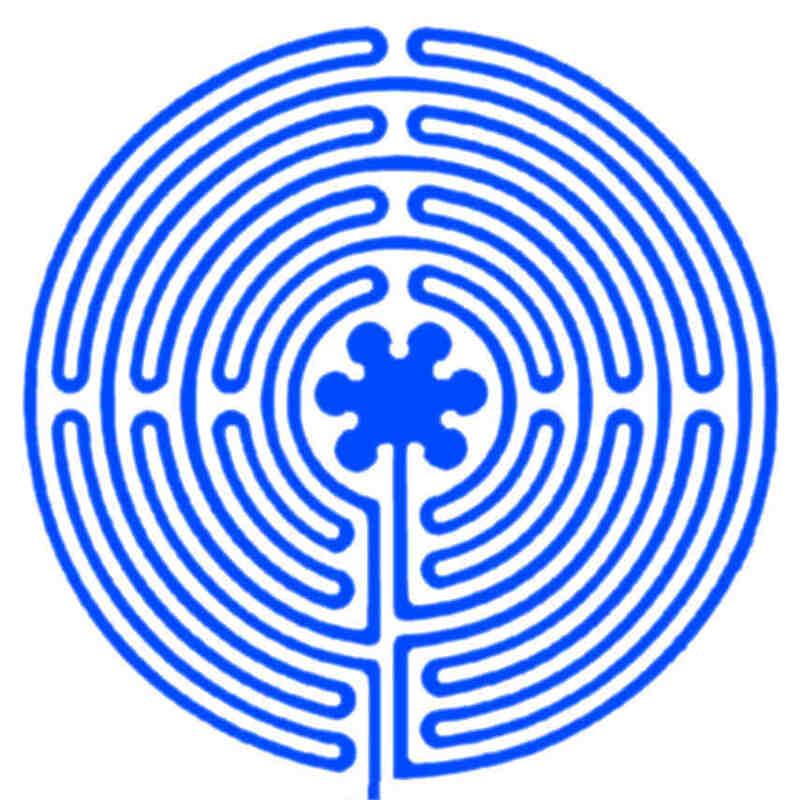 You can always leave the labyrinth if you want to. When you get to the center, rest. Reflect on what has happened so far, or simply tune into what you are sensing. Don’t hurry away. When you are ready, take the pathway back out. You may wish to continue with what has started, or consider how to integrate what it into your life. When you reach the threshold, give thanks for whatever your experience has been. After moving off the pattern, reflect on what happened. Write down your thoughts and feelings, or creatively express them in another way (drawing, movement, etc.). Walk with openness. Receive what comes. Begin with a question, “What is my next step?” Follow where it leads your mind and body as you move. On the way to the center pray for your needs. In the center, rest with God. On the way out, pray the needs of others.